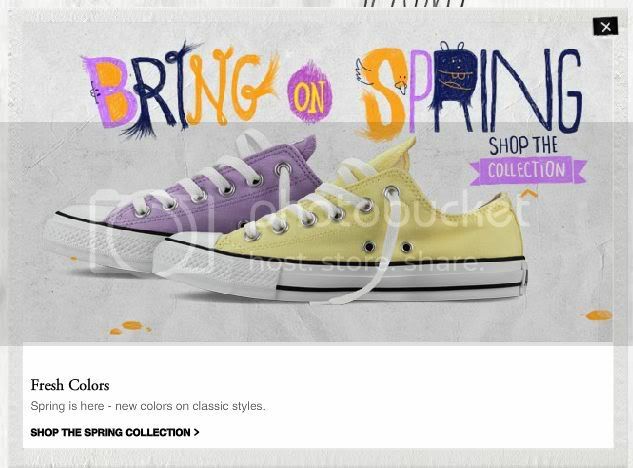 Wednesday Wants: Converse Trainers In Spring Colors. To tell you the truth I am a fan of converse sneakers in all colors. They will also be the only flats you will catch me in. My converse love affair started back in high school, when I had to live by a dress code. These shoes - drawn on, colored in, worn until they were falling off my feet were one of the only ways I could express myself. So really Converse will always have a special place in my heart. My lastest pair died last year - they had a good run and still sit in my closet. It's time to buy a new pair. Funny enough I've never had converse in color - this maybe the year.